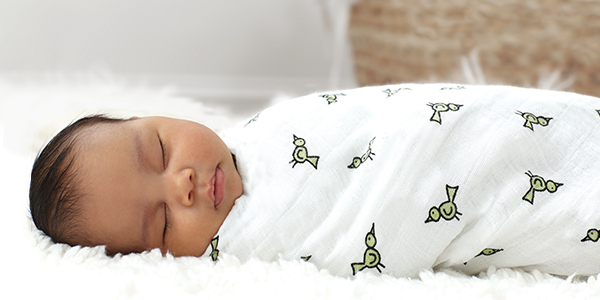 Fold the swaddle into a triangle, and place baby in the center with shoulders just below the fold. Place baby’s right arm alongside the body, slightly bent. 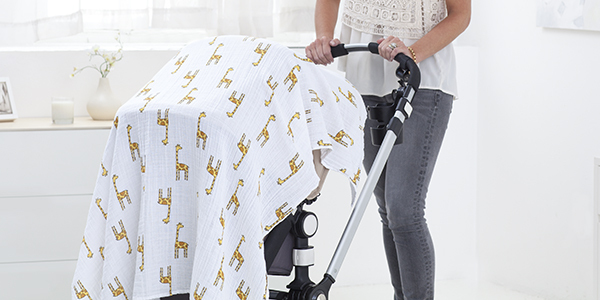 Take the same side of the swaddle and pull it securely across baby’s arm and chest, tucking the fabric under the baby. Leave the left arm free. Place baby’s left arm alongside the body, slightly bent. 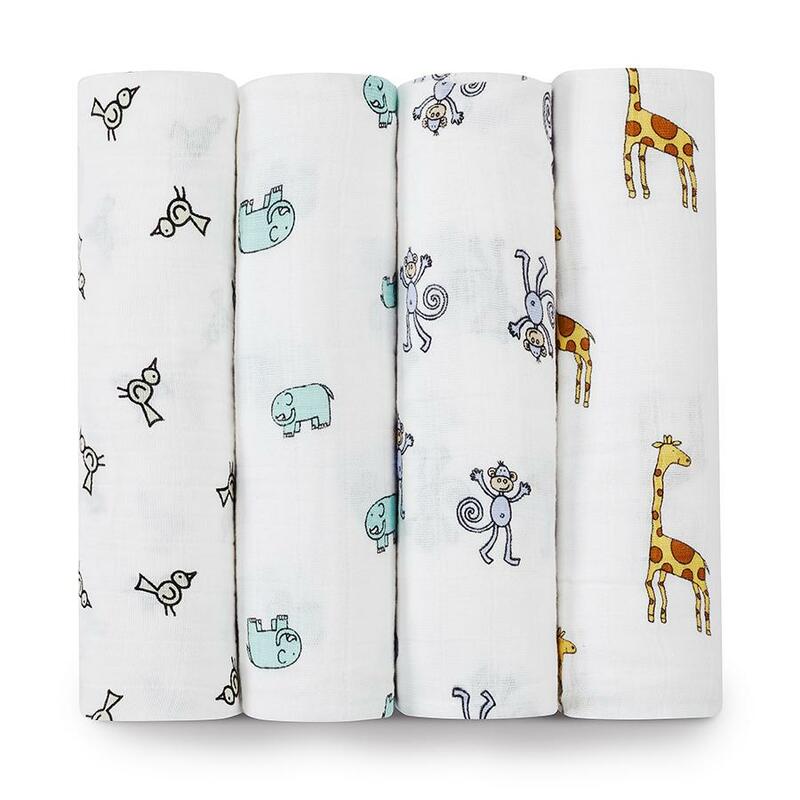 Take the remaining swaddle, and wrap it over baby’s arm and chest, tucking the fabric under baby to secure the swaddle.